Holly’s stuck at the lake for summer vacation. Usually, she loves the lake. But not this year. This year, Mom and Dad aren’t staying. She’s not going to have any fun. Her older brother Nick won’t play with her, and Gram never lets her do anything. When Holly hears the ancient and mysterious call of an owl, she’s certain he’s calling just to her. 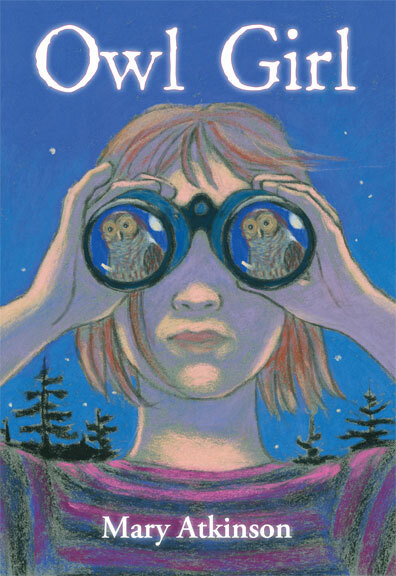 The hooting call of the barred owl has captivated MARY ATKINSON ever since she was a child and was the inspiration for this book. Mary holds an MFA in Writing for Children and Young Adults from Vermont College. Her poetry for children has appeared in magazines and anthologies, and her fiction and nonfiction have been published widely in educational markets. She divides her time between Portland and Stoneham, Maine.